Join us from 7pm – 9pm, Thursday, July 19 at Tom's Urban! 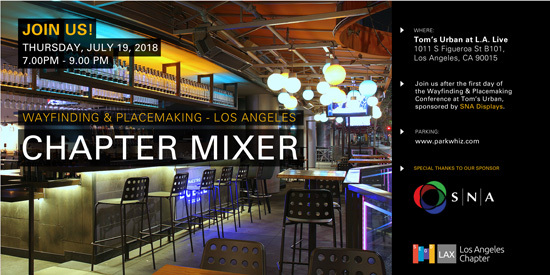 Join us after the first day of the conference to share your experience with the SEGD community at the Los Angeles Chapter Mixer sponsored by SNA! About SNA: SNA is a turn-key provider of LED lighting and indoor/outdoor LED digital video displays . For more than 20 years we have managed, fabricated, implemented and installed some of the nation’s largest spectacular signs while offering clients a single source for both indoor and outdoor lighting, text, graphic, and video products. 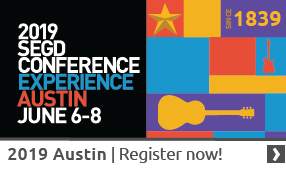 SNA’s goal is to provide an alternative solution to the marketplace in lighting and digital products by offering total project satisfaction, ethical business practices and superior product solutions while maintaining consistent and fair pricing.